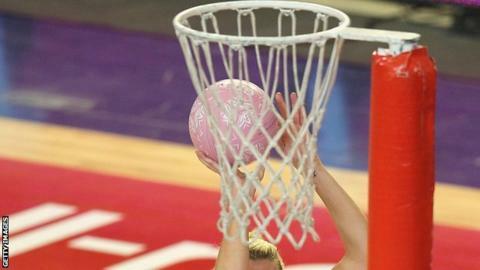 Celtic Dragons will have 14 Welsh players in their 15-strong squad for the upcoming Superleague season. Dragons coach Melissa Hyndman, who is also Wales coach, will use the campaign as preparation for the Commonwealth Games in Glasgow. There are five changes in the squad from the line-up that earned the Dragons a best-ever runners-up spot behind Team Bath last season. Defender Sara Hale has joined Manchester Thunder due to work reasons. Wing-attack/goal-attack Cara-Lea Moseley takes the co-captain's role alongside Suzy Drane while rookie defender Georgia Rowe has been drafted in for a first taste of league netball just 18 months after taking up the sport. We will be going for it [the league title] but this is about our preparations for the Commonwealth Games, so whatever reason we take the court we want to be playing the best we can." "I'm taking a bit of a gamble on her but you can't overlook youth, she's 6 foot 5 and still growing" said Hyndman. "Her father saw my car which had Welsh Netball on it and thought he'd give me a call so that's how it started." Defender Rosie Pretorius, wife of Cardiff Blues and Wales rugby player Andries, returns after a year out while centre-court player Sophie Morgan is back from Surrey Storm. Former Wales under-21 player Sarah Bell and teenage shooter Sarah Llewellyn are other new names in the Dragons line-up with Grenadian shooter Lottysha "Timmy" Cato returning for a third season as the Dragons' only non-Welsh player. Hyndman is targeting both a Superleague triumph for the Dragons and the best possible preparations for the Commonwealth Games for Wales. "We've proven to everyone within the league that you can't under-estimate the Dragons" she told BBC Wales Sport. "We will be going for it [the league title] but this is about our preparations for the Commonwealth Games, so whatever reason we take the court we want to be playing the best we can." The Dragons start their season away to Hertfordshire Mavericks on Thursday 30 January with the regular season running until 12 April. The Wales squad for the Commonwealth Games could also include Sara Hale (Manchester Thunder), Becky James (Loughborough Lightning) and Kylie Painter (Yorkshire Jets) as well as the bulk of the Dragons squad.